"Cas Peace's Artesans of Albia trilogy immediately sweeps you away: thedrama starts with King's Envoy, continues unabated in King's Champion, andclimaxes in King's Artesan, yet each volume is complete, satisfying. TheArtesans series propels you into a world so deftly written that you see, feel,touch, and even smell each twist and turn. These nesting novels are evocative,hauntingly real. Smart. Powerful. Compelling. The trilogy teems with finelydrawn characters, heroes and villains, and societies worth knowing; withstories so organic and yet iconic you know you've found another home--in Albia." ~Janet Morris: author of The SacredBand of Stepsons; the Dreamdancerseries; I, the Sun; Outpassage. King's Artesan is the last book in this first Artesans of Albia trilogy. In it, all questions about the Staff will be answered, and the mysterious Albian Baron finally makes his appearance. But don't think this is the end of the series! Oh no. 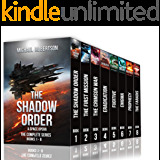 There are six more books to come: the Circle of Conspiracy trilogy, and the epic Master of Malice trilogy. If you enjoyed Artesans of Albia, you're going to LOVE the rest! With Great Power Comes Great Responsibility. That phrase came to mind while I read this book. I've read the other reviews for this and while I am not nearly as eloquent as others, I still want to put in my two cents worth. I honestly don't know where to begin my review. This book is jam packed with an adventure of intrigue laced with a liberal dose of suspense. Books like this take me back to my first days reading fantasy. The author continues to weave her masterful tale of Sullyan, Robin, Taran, Cal and Rienne, leaving me breathless with worry from the very beginning words. The series started out with this mysterious staff and this book explosively completes that tale, and tosses a few more bombs in the plot for what promises to be a most excellent next novel. I personally thought the funeral rites were very well written and yeah, they brought a tear to my eye. It is always hard for me to watch a character die, especially one that has such depth to his soul as this one did (no spoilers here!). Every great book has it’s memorable characters and it is always fun to read the evolving bonds of friendship that are needed to ultimately overcome the evilness that is seeping through the lands. While Sullyan is, in my eyes, the hero of this series, Robin is also a well written hero. For every great hero, there needs to be an equally great villain and Robin’s villain is Parren. Robin continually does the right thing, even when he knows is against orders and Parran constantly plays the full-of-self-importance morally weaker but hides behind regulations bad guy. Perhaps that is why I love this series so much, the scales are pretty much balanced in terms of hero/villain. I’ve got to give kudos to the author, I think writing the bad guys is just as difficult, if not more, as it is to write the hero. I found myself hating Parren to the point of mentally booing/hissing and throwing rotten food every time he was in a scene. The final few chapters deftly set up the next books and I can't wait to dive into them. Go…one click it and then clear your weekend, you won’t want to put this one down. 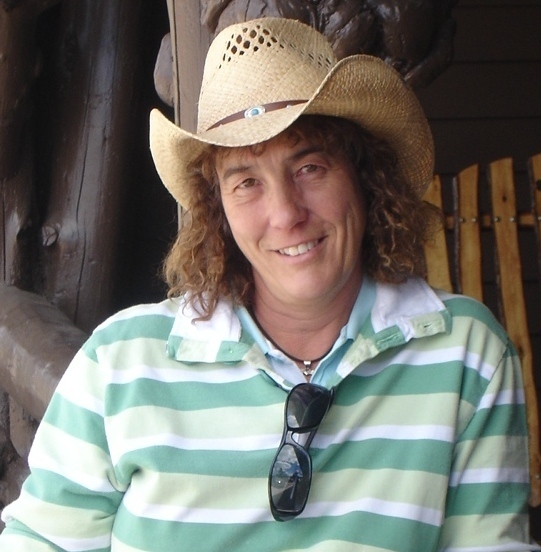 Cas Peace is a horsewoman and an a scholar, and it shows in this deft capstone to her Artesans of Albia trilogy. From the very first paragraph, we are one with the hero Taran again who, as in previous books, is in trouble. But ah, what delicious trouble. This trilogy is complete, satisfying, but sets the stage for further epic adventures in a world full of treachery, hate, injustice, and souls braver than fools can be. Artesans of Albia, the trilogy, storms to a righteous and thrill-packed conclusion.that leaves the reader satisfied, but hopeful of more books in this world that one shouldn't visit without a canny guide. Grand characters such as Major Brynne Sullyan don't come along every day; Taran and his compatriots are heroes to believe in: these men and women suffer, and you suffer with them, for there are far too many enemies, too many wrongs to right, for safety to be assured for any of our protagonists. Evil-doers abound, and worthy foes. Most importantly, this series sings with immediacy and the joy of adventure freely sought. And the presentation of the book is beautiful: much care is taken with the way the world and its books present themselves, with the titling, with the maps, with all. 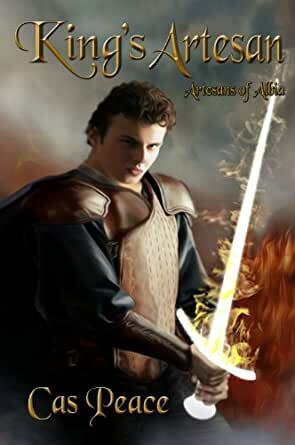 Any fantasy fan worthy of the name will love the Artesans of Albia series. You may be able to start with this, the third of three, and enjoy this book as a stand-alone, but why not get all three and read in order? I have previously read, enjoyed and reviewed King's Envoy and King's Champion, and they convinced me that Cas Peace is an author to watch, to read, to savor. Great fun, laced with pathos, leavened with knowledge, and served by a sure and steady hand. 5.0 out of 5 starsWonderful ending! Please note: If you are reading this review on a site that does not allow formatting, please follow the link in my profile to my blog, Now is Gone, to view formatting and links. Please note it will not be available on that site until Aug. 22. Extra Stuff: Music to go with the book can be found at the author's website, linked here where permitted. My Thoughts: What an ending to this first trilogy in the Artesans of Albia fantasy series! This is not the end, though, as additional books--a new trilogy--are planned, and therefore this book ends on a bit of a cliffhanger, so I certainly hope that the next book will not be long in coming. The author does a great job developing very complex characters. Things are not always as they seem, and many characters that start off hostile to our heroes end up being quite likeable when more is learned about them. However, the antagonistic characters are all really awful people. It's a sad reality that there are way too many greedy and power-hungry people in the world, whether that world is ours or a created world like Albia, and then you have the types who are so afraid of things they don't understand that they simply need to destroy everything. They are the ones I dislike most, because they are so full of their own sense of self-importance, and their rightness, that they can often be quite chilling. This book had one scene that I was really confused about, and it was after Sonten's plans for the Staff were discovered. I can not understand why Robin did not immediately contact General Blaine about the situation rather than waiting an entire day until they returned to Albia. It would have saved everyone grief. Another thing that has really bothered me is how no one is willing to push the situation with Parren. He does many things that are fully deserving of punishment, yet no one is willing to speak up and do anything about him. He's a nasty sort, and I really wish they would so something about him; I can sense he is going to be a major source of trouble in the next trilogy. I confess that starting at about the 50 percent mark I kept waiting for the other shoe to drop. It didn't take long! There is a great deal of suspense in this book, and it really held my interest; I read it straight through. I have just loved this entire series. 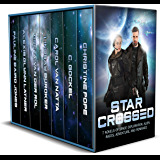 Cas Peace is a master storyteller, providing a depth and breadth of information about her worlds and their people that is just staggering. As I already mentioned ,her characters are complex and multi-dimensional, and I have very much enjoyed reading this series. I am also looking forward with great anticipation to her next novel in this series. I heartily recommend this series to anyone who enjoys epic fantasy, strong world-building, and beautiful storytelling. Highly recommended! Another series is planned, to be called Circle of Conspiracy. I have no additional information as to book titles or publication dates at this time. Disclosure: I received an e-book ARC from the publisher in exchange for an honest review in conjunction with a blog tour. Follow the link to see tour dates and locations. All opinions are my own. Synopsis: Unable to purge herself of the poison that is slowly killing her, Major Sullyan remains trapped in Andaryon. The only thing that can save her is the Staff, which still lies buried in Taran's cellar.